Why commenting Shopify products is essential? Working on e-commerce directions, in particular – Shopify, we always take experience from our wide social networking background. We all know that most of the content users generate in social networks can be (in various ways) liked, re-posted, promoted or commented. All this factors are important for ranging your content when it’s delivered to other users. Let’s talk about one of the most important ones – Comments. Comments allow users to leave their feedback, share what they think or feel about the topic in a very quick way. With social comments user doesn’t need to think about authorization – this makes the process quick and easy. But what about real use cases? 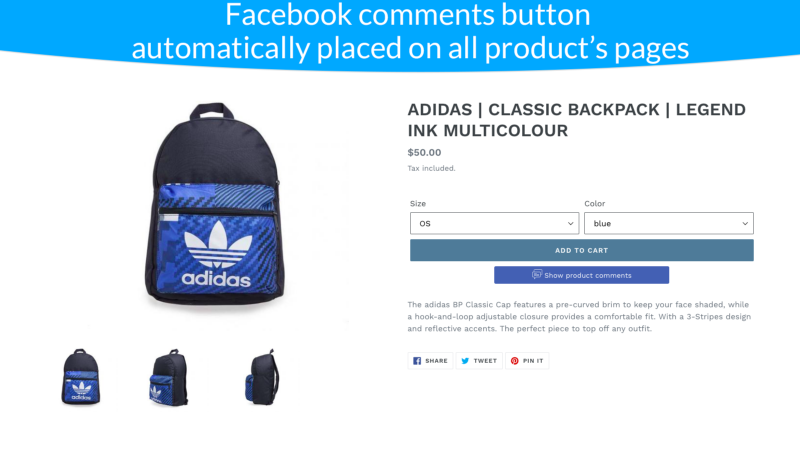 Great example of interaction between merchants and buyers – they can ask questions or post their feedback about products with Facebook Comments. 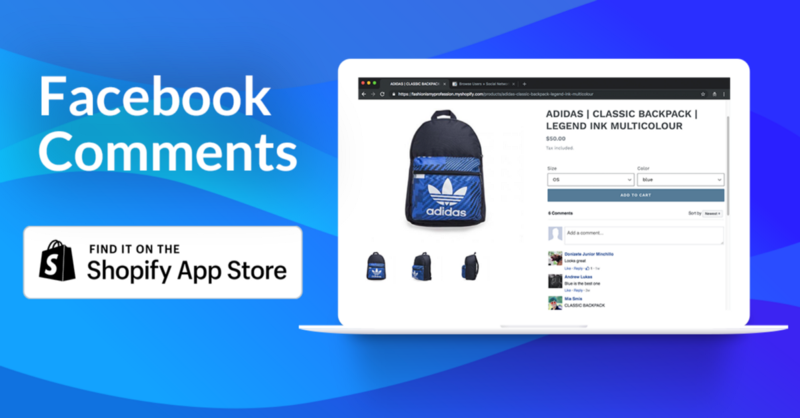 We developed a solution that helps clients of Shopify based stores to find a way to express themselves or interact with store owners using well-designed and reliable Facebook platform. 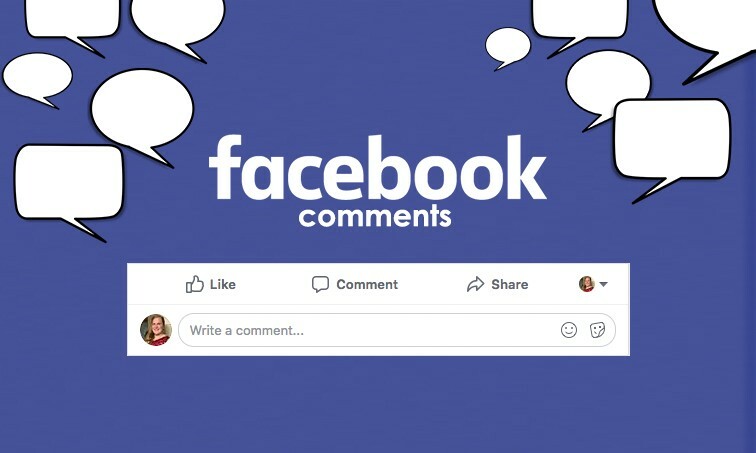 Facebook Comments can be presented in a different ways – pop-ups, on-demand block displayed after the button is clicked, etc. 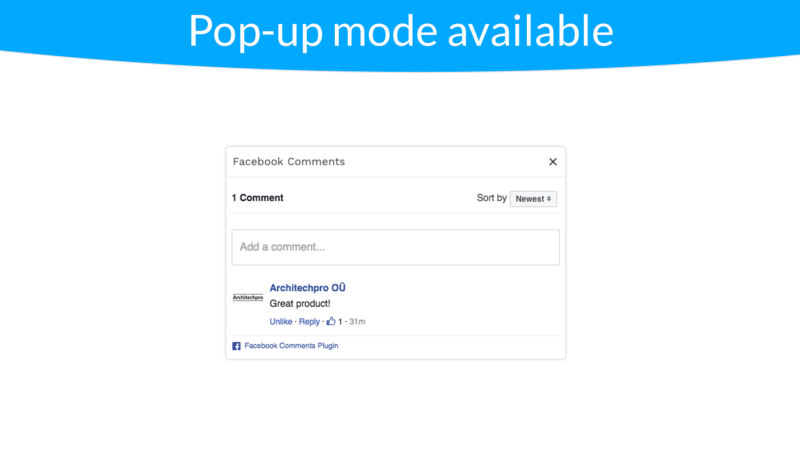 With Shopify app store usage of Facebook Comments is easier than ever. Facebook Comments is free to install and try for 14 days. This entry was posted in Shopify and tagged Comments, Facebook, products, Shopify. Bookmark the permalink. How to make Shopify store EU GDPR compliant?